Sentenced to life without parole for the brutal murders of no less than eighteen people, Saria Abrams is considered one of Chicago's most notoriously dangerous criminals. Prison psychologists call her a psychopath; someone who does not possess a conscience and who cannot feel remorse for her acts. The world calls her a monster and says she deserves to rot in prison. Then one night, three years into her sentence, Saria escapes - sparking a nationwide manhunt. 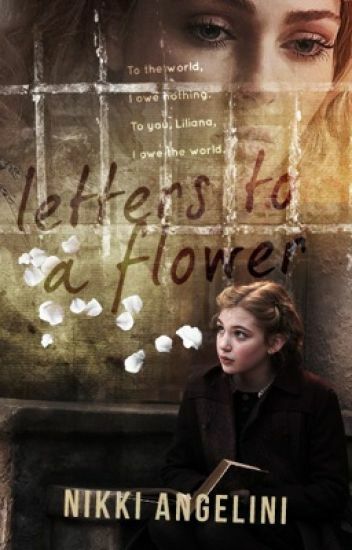 The answer to finding her lies in a collection of letters found in her cell, each penned to her younger sister, Liliana. But these letters tell a different story, and contain a truth that may prove the entire world wrong. "The world is a bitter, bitter place, Greyson. There's nothing to do now except get over it." In the sleepy town of Avensgrove, everyone hides their secrets like jewels. They bury it behind fake smiles and pleasantries, and for the longest time - it has worked. And then Blaire DuMonte's body is found at the bottom of the lake. And a year later, her best friend holds five hostages captive in the abandoned DuMonte household. The secrets they've kept have began to resurface - and it all started with Blaire's body. Erika Soto is one of those pretty plastic people. She's been rated a nine by the senior boys every single Monday, and at a school where secrets and weaknesses are taken advantage of, a high rating is a ticket to the school's elite. But there's more to Erika and the Aquino High royalty she surrounds herself with: there's regret, flaws, and a single night that rips them all apart. And after years of clawing her way to the top, for the first time she can see things clearly: she's done with only being pretty and plastic. As her life starts to unravel and her perspectives on everyone she thought she knew change, she has to make a quick decision between living at the top of the pyramid and living with herself. And even if she does choose to take a stand, who's to stay she'll succeed? Can the girls on top really overthrow a system that's years in the making? Love makes people do crazy things... Even murder? Kathryn Elliot never imagined her relationship with Augustine would literally end with blood on her hands. Now a senior at Brier Academy, she longs to forget that horrific day when he brutally declared his love for her. But he won't let her forget. When pieces of their summer together begin to surface in newspaper clippings and photographs left for her to find, Kathryn realizes how far Augustine will go to prove his point--that she really isn't so innocent. Her choice is simple, be with him or he'll tell all for the accolades alone. They'd be infamous. After all, nothing brings two people together like homicide. It's his word against hers, and with her future hanging in the balance, Kathryn does the one thing she does best--lie. Author's note: This story contains themes and topics that might not be suitable for younger readers. Read at your own discretion. One suicide caused three things. A girl to run away and find herself. A boy to run away and find his brother. And a pair that find their way across the country. The core survivors of the Bottle Island massacres lived happily ever after, but there is still one more story to be told. In the fourth instalment of the Altswood saga, Annabelle Martinez and Jules Sodrepena may have left Altswood, but the psyche of Altswood is unlikely to ever leave them. It is their senior year of college and they are en route to Venice, Italy with the rest of their class as part of their final Art History project. Annabelle can't wait-they are graduating in mere weeks, so she doesn't really care about doing well in class anymore. She just wants to sit back and relax, which includes not admitting to herself that she may or may not have developed a crush on Jules, whose new girlfriend is also on this trip. If only the universe didn't hate her. Within her first few seconds in Venice, Annabelle collides with a man running for his life. Just before he dies in her arms, he whispers: "The cipher is in the phone." Annabelle had sworn to herself she would never get involved with another investigation regarding a killer running rampant on a paradise island. But as the situation turns from a murder investigation to a bomb threat that could destroy the whole of Venice, the authorities continue scratching their heads with no solid leads. What Annabelle overheard could be the key to solving this mystery, and preventing the whole island from blowing to smithereens. With only twenty-four hours before the countdown ends, Annabelle and Jules take it upon themselves to uncover who killed the man and why. Their talents for sleuthing in Altswood have followed them to Venice, and there is no time to spare. Only as the seconds tick away, it would seem both the island and their friendship are at risk of falling into pieces. Dorothy never really thought that war would take her older brother, but like so many others before him, Ian enlisted and departed Canada in khaki, leaving Dorothy to care for the youngest Gaston, Charlie. The return of her employer's son eats away at Dorothy: why should he, the rich man's son, the spoiled brat, be back home sleeping in his bed while her brother sleeps in the muck somewhere in France or Belgium? Robbie Monroe isn't the brat who ran off for a great adventure. Nearly deaf in one ear and deeply lonely, he is a man struggling to put his life back together after his time "over there," and Dorothy seems to be the only one he can talk to. She doesn't want to trust him but she can't help it, and Dorothy soon finds herself with something she didn't realize she desperately needed: a friend. Before the war's end, fate has one final reminder for Dorothy that happy endings don't always happen in real life, no matter how much she tells herself they can. Set in in the weeks before the 1917 Halifax Explosion, Shadows May Fall is a non-traditional World War I romance. In high school, a group of notorious friends buried a secret and promised to take that secret to their graves, they part ways never to see each other again. Five years later they are all brought back together, they're lured to a campsite by a mysterious person in a yellow hoodie and there they receive a message - one only they can understand. Someone knows what happened on the night of August 15th and that person has vowed to make their lives miserable. Together, they need to find out who that person is so that their secret can never come to the surface. When one of them gets hurt, everyone is a suspect. They can't trust each other and they certainly can't trust anyone around them. It's the bestfriend retreat of your dreams. Four friends, one luxury Airbnb. A weekend away from your problems. Only, Sierra and her friends are not alone. Add in a trio of strangers and a locked door, and this holiday turns deadly. A young adult thriller romance written by the same author as High School Hit List and Watty-award winning Awake.